A sweet caramel flavour and a smooth, firm texture. A commonly used synonym of Gjetost is Gudbrandsdalsost; the Gudbrand valley being its area of origin. 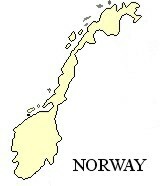 The name derives from the Norwegian for goat - Gjet. Norway's mountainous landscape, in which only about 3% of the land can be cultivated, made goat's cheese the more common in the past, but now the milk is often mixed with cow's to give a more varied taste. 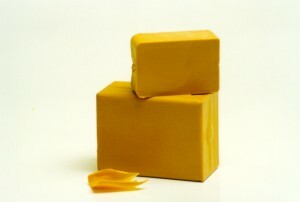 The result is a semi-hard cheese with a fat content lower than most (about 30%). However, it can be made with goat's milk alone, which is known as Ekte or genuine Gjetost. It is made by boiling the leftover whey of cow's and goat's milk until the lactose caramelises (which gives it it's light brown appearance). The cheese is then poured into rectangular moulds and left to cool. The outer surface is similar to that of a decorated cake. The taste resembles a slightly sour but sweet caramel with a smooth texture similar to fudge. It can be shaven into thin slices and eaten with coffee for breakfast. At Christmas it is a favourite with spiced fruit cake. It is also considered ideal as a sweet fondue or a sauce for game. Mariners traditionally took this cheese with them on long voyages.